The 2017-2018 Infobite Book is Out! We just published the second volume of our infobites, collected from the past year (2017). 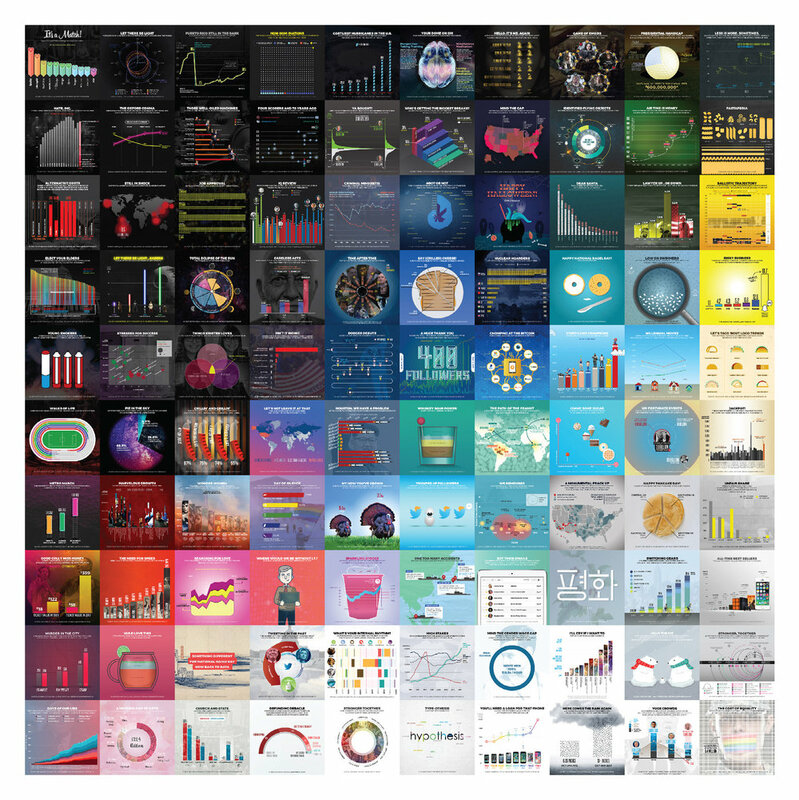 The book contains all 121 infobites from our data-viz instagram account @hypothesisgroup. This has been an absolutely wild year and we did our best to document it—to take a peek “under the hood” to spotlight the data behind the stories. It’s part of our goal to help readers tease apart fact from fiction using information, not just rhetoric, and align with our belief that the design of data should parallel the quality of the content. Some of the most popular infobites are featured below. Our analysis showed that a majority of the infobites were about politics, naturally, as this year's news cycle was dominated by political fighting, scandals, and a record number of disputed claims. Culture and lifestyle followed, and science trailed right behind. Want more? Our new book is available through hypothesis only, so if you'd like to get your hands on one, let us know by sending an email to design@hypothesisgroup.com. Thanks from the entire Gridspace team at Hypothesis.